Ultraviolet electromagnetic radiation, commonly known as UV, is used in many industries and applications. The emerging UV LED will be a competitive competitive technology that can drive new innovative applications. Uv-led has a long service life and is more environmentally friendly than conventional mercury UV lamps. 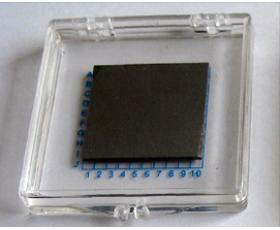 First, make semiconductor wafer. Specific material composition -GaAs, the GaP or some substance in between is determined by the color of the LED produced. Crystalline semiconductors grow in high temperature and high pressure Chambers. The gallium, arsenic and/or phosphor are purified and mixed together in the chamber. Liquefy the heat and pressure and press the components together, forcing them into the solution. To prevent them from escaping into pressurized gas in the chamber, they are usually covered with a layer of liquid boron oxide, sealing them so they have to “” stick together” “. This is called liquid encapsulation or Czochralski crystal growth method. 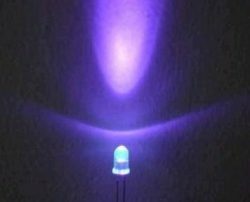 But for UV LED, sapphire material is commonly to be used. 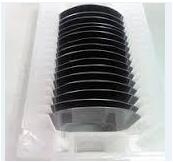 Secondly, cut the ingots into very thin semiconductor wafers that are about 10 mil thick, or as thick as trash bags. Polishing the wafers until the surface is very smooth, so they can easily accept more semiconductor layers on the surface. The principle is similar to polishing the table before drawing. Each wafer shall be a single crystal material having uniform composition. Unfortunately, there are sometimes defects in crystals that cause leds to perform poorly. Consider the imperfections of the unmixed flowers or sugar that hang in the cake during baking. The polishing process can also cause defects; Such defects can also degrade equipment performance. The more a crystal looks like a flaw, the more it behaves like a single crystal. Without a regular crystal structure, the material will not function as a semiconductor. At the same time, for epi-ready sapphire substrate, its flatness is also a critical parameter for epitaxy, normally, for 2”size, its TTV<10um, BOW<10um, WARP<10um. Finally, clean the wafer using various solvents through rigorous chemical and ultrasonic processes. This process removes dirt, dust, or organic matter that may have settled on the surface of the polished wafer. The cleaner the treatment, the better the LED produced. 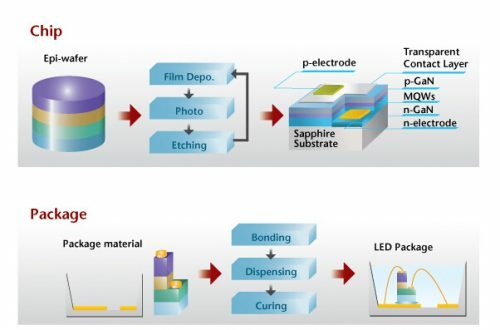 For sapphire substrate used in UV LED, its surface should be treated as Ra<0.2nm. 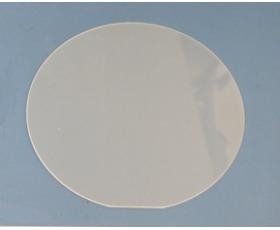 Grow additional layers of semiconductor crystals on the surface of the wafer, such as adding more layers to a filter cake. This is a method of adding impurities or dopants to a crystal. 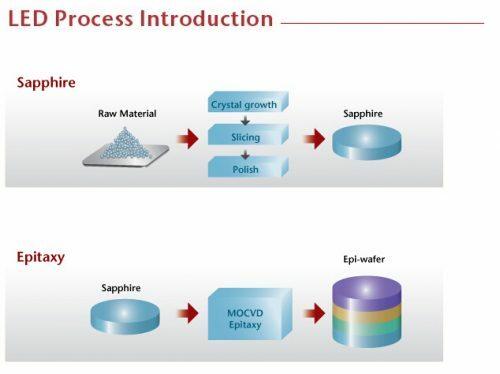 This time the crystal layer is grown by a process called MOCVD. 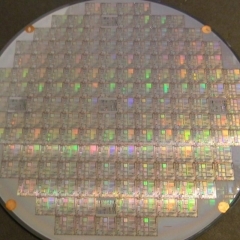 In this technique, the epitaxial layer – a semiconductor layer with the same crystal-orientation as the substrates below – is deposited on the wafers in different GaN material inlcuding undoped AlGaN, n doped AlGaN and key material InGaN for quantum wells. The wafer is placed on a graphite slide, which is pushed through a channel below the container that holds the molten liquid, or melt. Different dopants can be added to a continuous melt or multiple dopants can be added to the same melt to produce a material layer with different electron density. The deposited layers will be a continuation of the crystalline structure of the wafer. After the epitaxial layer is deposited, additional dopants may be added to alter the color or efficiency characteristics of the diode. If doped otherwise, the wafer is placed again in a high temperature furnace tube, where nitrogen or ammonium zinc is most commonly immersed in a gaseous atmosphere containing the dopant. Nitrogen is usually added to the top of the diode to make the light ultraviolet. 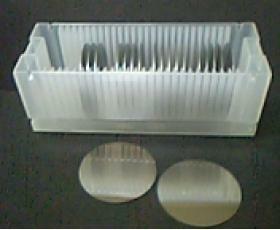 Metal contacts are then defined on the wafer. 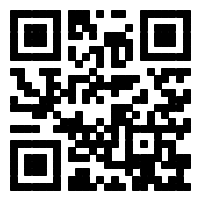 The contact pattern is determined at the design stage and depends on whether the diode is used alone or in combination. Reproducing contact patterns in photo-resist and photosensitive compounds; As the wafer rotates, the liquid resist is deposited as a droplet and distributed over the surface. Harden the resist by briefly baking at a low temperature (about 215 degrees Fahrenheit or 100 degrees Celsius). 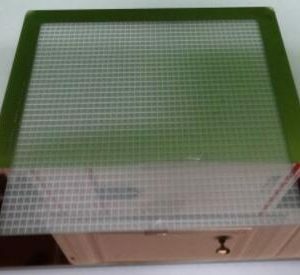 Next, the main pattern or mask is placed on the chip and copied on the photoresist with an uv exposure resist (as in the case of a photo made from a negative). The exposed area of the resist is rinsed with developer and the unexposed area is retained, covering the semiconductor layer. Individual dies are mounted on the appropriate package and the entire assembly is sealed in plastic. Please contact us to discuss wafer specifications, including other wavelength, dimension, layer thickness and epitaxial design.